Summer vacation is just around the corner, and it is time to start thinking about getting a new, high-quality suitcase. 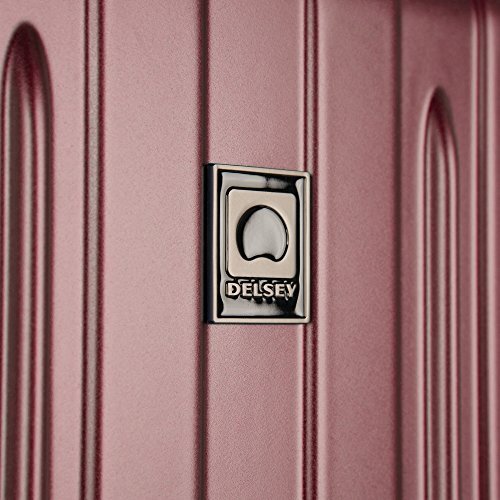 Delsey is a French manufacturer of luggage, and a very good one for that matter. Many people compare them to Samsonite, because they are that good. And, they also have a lot of different ranges of suitcases. In this review, we will compare the Aero and the Titanium ranges. Both of these ranges feature hardshell suitcases in 4 different sizes, with 2 carry-on versions and 2 versions that need to be checked. We’ll take a look at their shared features, and more importantly, their differences.This will help you decide which one of these Delsey suitcases is a better fit for you, so let's see which one will ultimately win this showdown! The Delsey Helium Aero Vs. Titanium: Which One Is The Ultimately Better? Both the Titanium and the Aero are hardshell suitcases. Their shells are made of 100% polycarbonate, which is a lightweight and durable material. 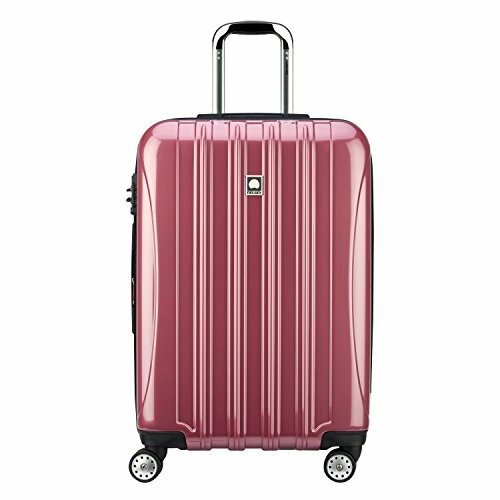 Additionally, both suitcases also come with worldwide 10-year warranty, so even if the baggage handlers are extra tough with them, Delsey can repair them. Whichever suitcase you choose, you can expect the same performance quality and lifespan. 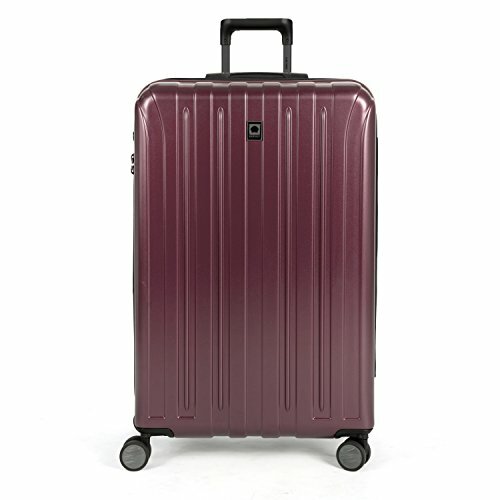 As for the color of the suitcases, there is approximately the same amount of color variety in both the Aero and Titanium ranges. You can buy both suitcases in about 8 colors, but that can sometimes vary depending on the size and the seller you choose. This is one of the most important features of a suitcase, at least for me. 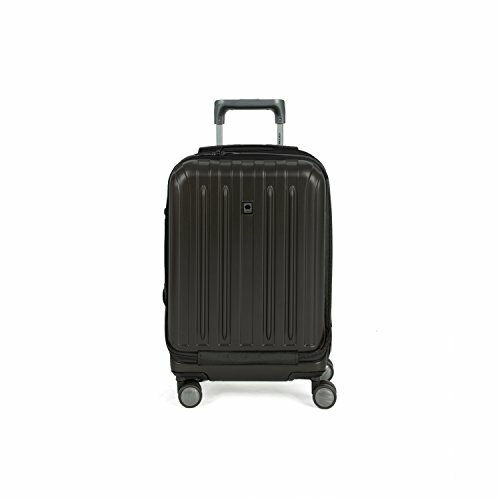 Both of these Delsey suitcases are equipped with double spinner wheels. 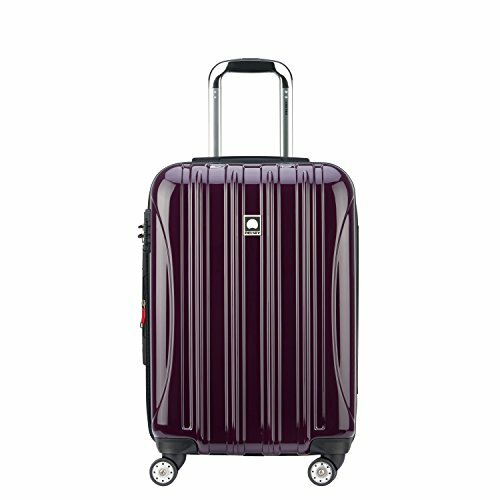 The wheels are able to turn 360 degrees each, which means that you will never again have to tilt your suitcases to pull it. You will have superb maneuverability of your suitcases, and never again will your shoulders be strained. 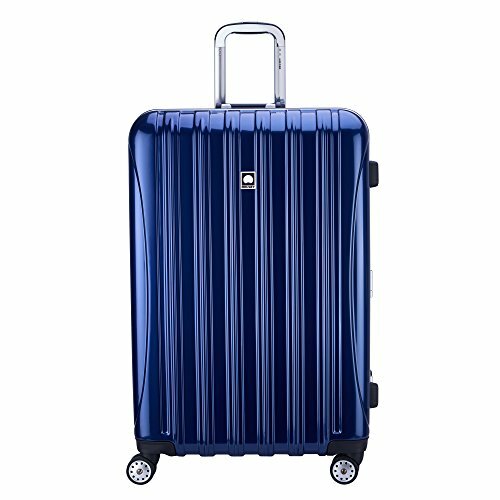 You can even push these suitcases alongside you or in front of your – with these Delsey babies, the world is your oyster. 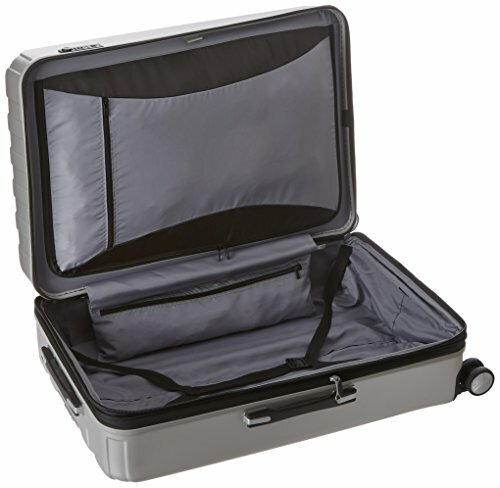 Both suitcases also feature zipper closure. 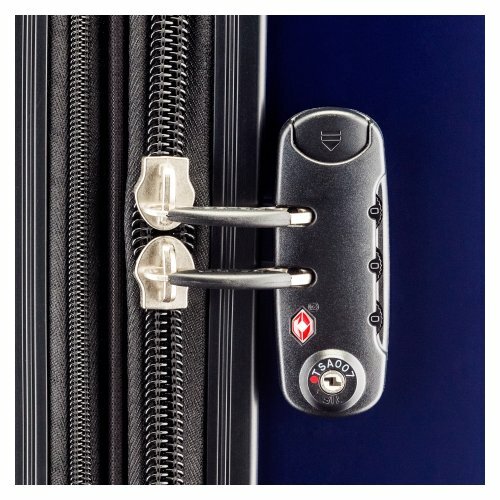 Honestly, I prefer latch closure on hardshell suitcases, because zippers can easily be torn up and broken into. Therefore, I would say that this is kind of a downside of both the Aero and the Titanium, but not a terribly big one. However, if you are disappointed because you were looking for a zipperless suitcase, I have a few other suggestions for you. The Delsey Titanium and the Aero can both be expanded by 2 inches. There is a separate zipper, right next to the one for closure, which could be somewhat confusing. I can’t tell you how many times I tried to open up my suitcase, but ended up expanding it! But, oh well. It is still great that Delsey integrated this into both suitcases. Therefore, if you like to go shopping when you go on a trip, and you were looking for an expandable piece of luggage, either one is a good fit for you. Both the Titanium and the Aero have a telescopic handle that can be locked with a button into couple positions. The expandable handle is made of aluminum, and is incredibly lightweight. 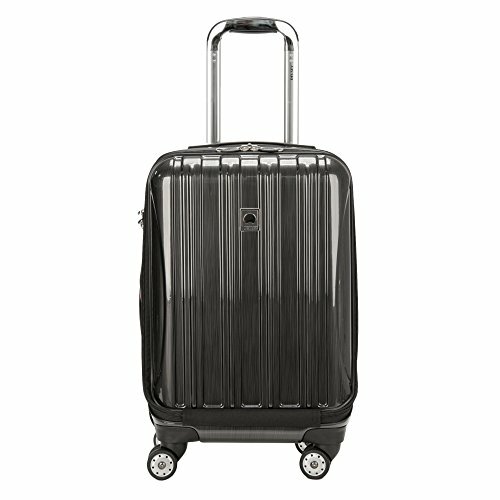 The suitcases also feature top and side carry comfort grip handles, for when you need to actually pick up the luggage. However, there is a slight difference in the color of the handles. 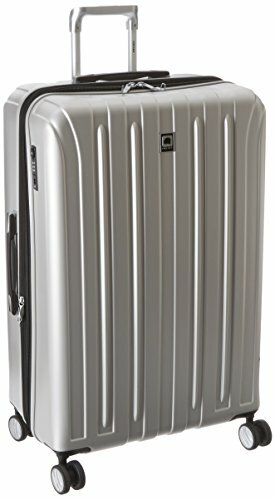 In the Titanium range, the handles are silver on the silver suitcase, and they are black (to match the zipper and other details) on suitcases of other colors. 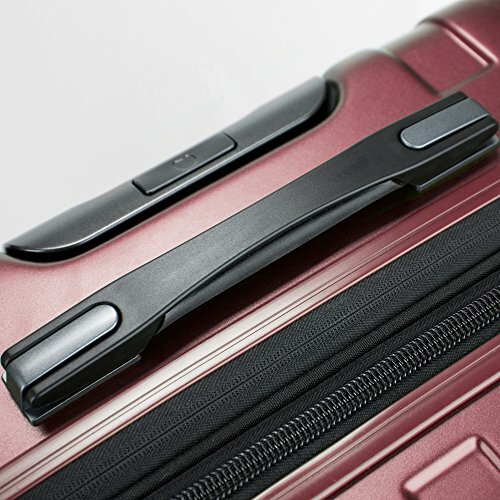 In the Aero range, the handles are the same color on all suitcases. This is a purely aesthetic difference, and it doesn’t impact the performance of the handles at all. Both of these Delsey suitcases have TSA approved combination locks. The original combination is 000, but you can set up your own easily, in a matter of minutes. If you are not familiar with TSA locks, they are especially beneficial to you if you visit the United States frequently. From time to time, TSA agents might randomly choose your suitcase for inspection. With TSA locks, they can safely open them up, inspect them, and then lock them. If the lock on your suitcase is not TSA approved, they will have to forcefully open it or cut the lock - which obviously is not great for your suitcase! 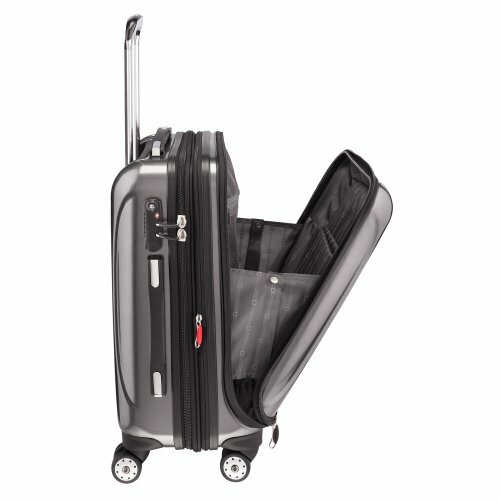 The 19” international carry-on version of both the Aero and the Titanium features an easily accessible exterior compartment. The compartment even has a laptop sleeve and a couple other pockets. 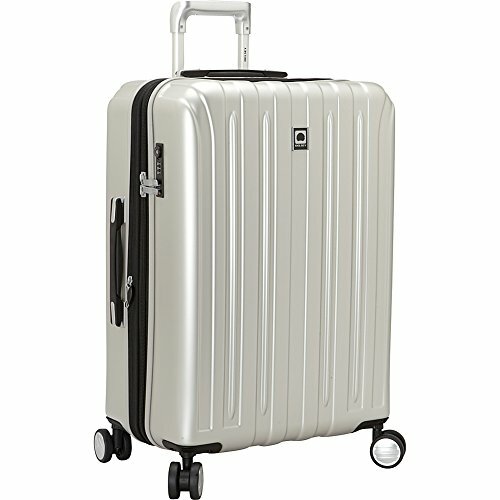 Also, note that the exterior compartment is featured only on this particular version of both these Delsey suitcases. Personally, I love it when suitcases have exterior compartments, because that allows me to store my laptop, charger and anything else that I might need during the flight. A downside is that anyone can access this compartment because it cannot be locked. However, this is a carry-on version, so this might not be a big deal, as the suitcase will be safely tucked into the overhead compartment above you. There are not a lot of differences between the Titanium and the Aero; in fact, both suitcases are of amazing quality, and neither will let you down. That being said, there are a few differences that we need to touch upon, concerning the actual dimensions of these suitcases, so read on. 19.0" x 13.0" x 9.5"
The 21” and the 25” versions of the Titanium are actually a little bit smaller than the Aero. The 29” versions are identical in both ranges, and the 19” version of the Titanium has a little bit more depth than the Aero. The differences between the sizes are not too significant, but they do exist. However, the Titanium range is consistently lighter than the Aero range, when it comes to all versions. Because of that, I believe that the Titanium is a better option, because every pound matters when you consider baggage fees. 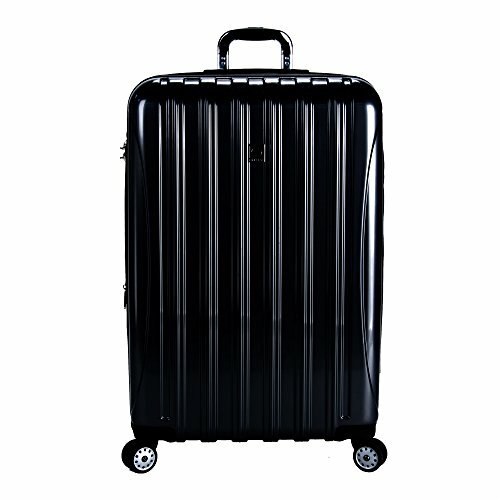 Both suitcases are fully lined with nylon, and feature 2 packing compartments. Additionally, both of these also have pockets in the main packing compartment, and tie-down straps in the bottom compartment. They differ when it comes to the divider; the Titanium has a zippered divider, and the Aero has a divider that is secured with hooks. This one is up to you, depending on your preference. I personally prefer zippered dividers, because I have had some bad experiences with hooked dividers. Additionally, there is also a slight difference in the colors of the dividers; the Titanium’s has some black accents, which the Aero’s does not have. There is also some small differences in their look and style, if you take a closer look at the suitcases. The exterior ribbing and colors are slightly different. Although both have vertical lines running down the case. The handles are also slightly different, with the telescopic handle on the Aero (on most models) being all sliver and more curved. The Titanium has the more standard black handle. That is hard to say. 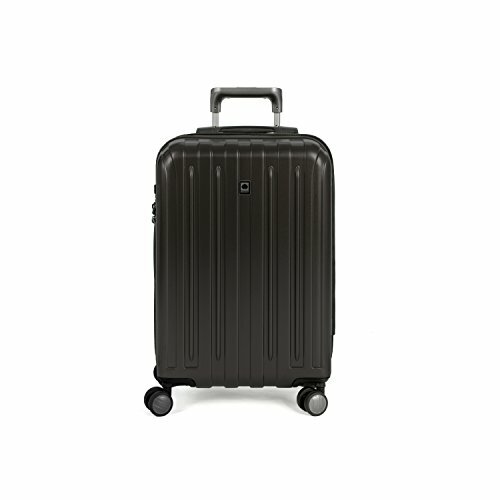 They are both amazing, lightweight and durable suitcases. Whichever you choose, I guarantee you will net be disappointed, because they are both equipped with the same important features – the spinner wheels, the TSA lock and the aluminum comfort grip handle. For me, the Titanium appears to be the better option, because it is more lightweight than the Aero. 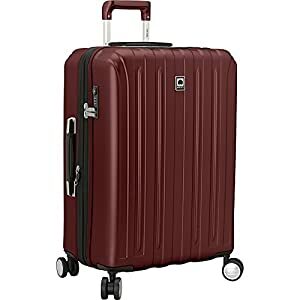 This is especially important when it comes to the larger versions of these suitcases, as they will inevitably have to be checked, and even half a pound could save you from having to pay extra baggage fees (or having to repack at the check-in desk, never fun!). Ultimately, the decision is yours. Whichever one you choose, I am sure you will not be disappointed because Delsey is an amazing manufacturer. 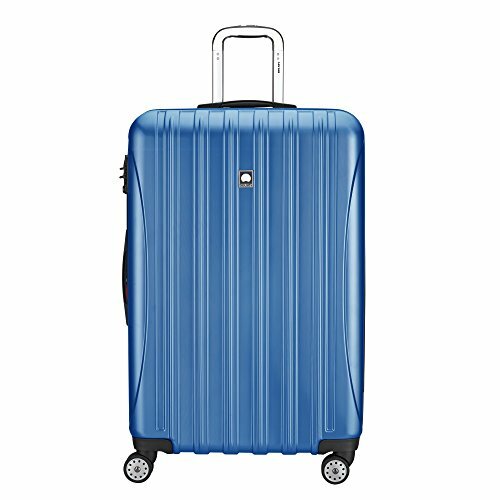 Head on over to Amazon to get a great deal on both of these Delsey suitcases!